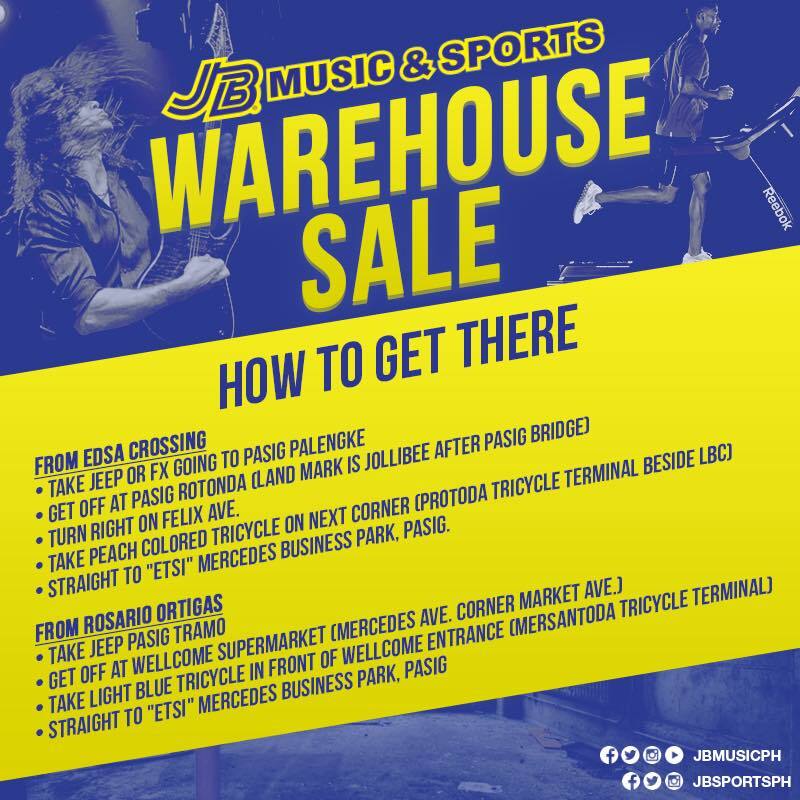 Check out JB Music & Sports, Inc. 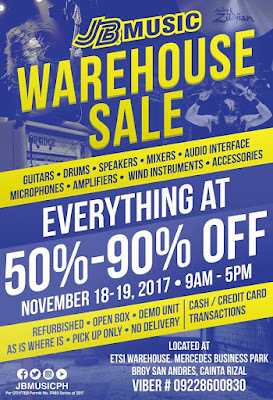 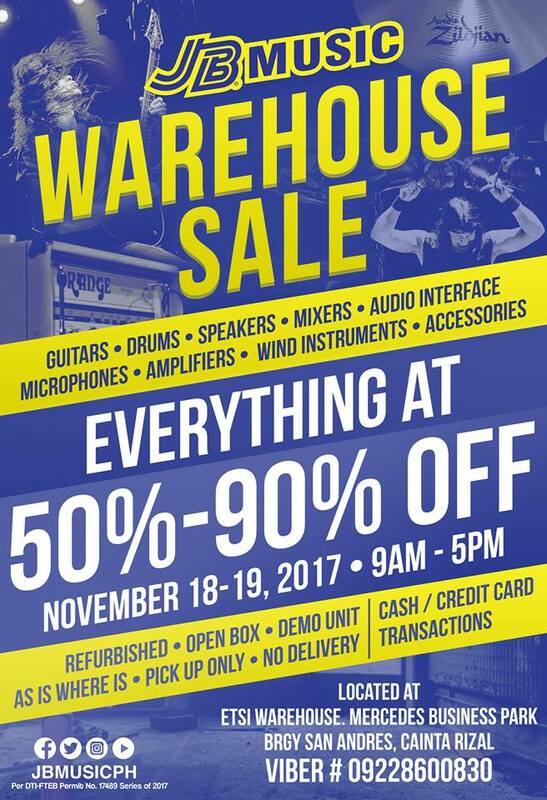 Warehouse SALE happening on November 18-19 2017 at Warehouse, Mercedes Business Park, Cainta, Rizal. 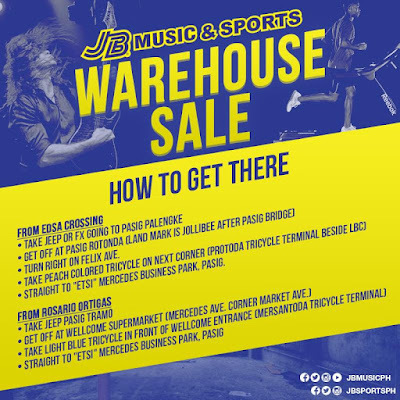 Drop by and get HUGE discounts on guitars, drums, mixers, other musical instruments, sports equipment, and more!